It’s rare that I photograph a newborn as early as 8 days old. 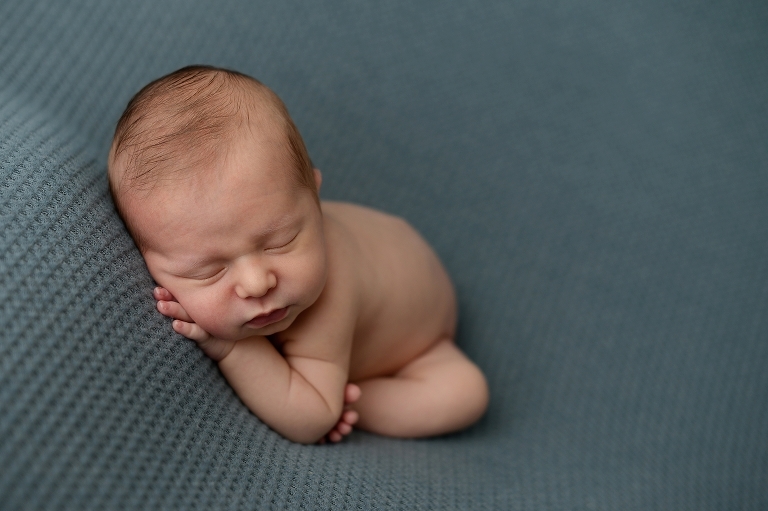 Many photographers prefer to get them into the newborn studio as soon as possible. However, I think the best time to get a baby into the newborn studio is closer to 2 weeks old. It allows mom’s milk to fully come in and for baby to figure life out before trying to get them to sleep in the studio. Although, that doesn’t mean it can’t be done earlier! 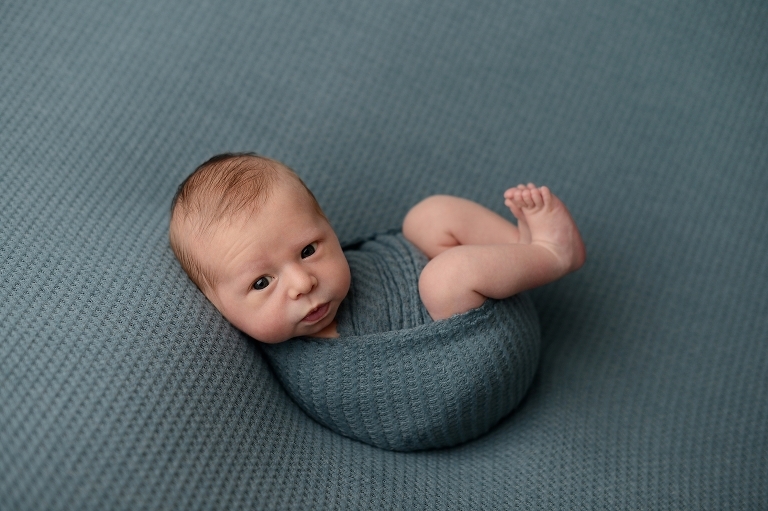 Understandably, Levi’s dad wanted to have his newborn photos done at the studio while he was still on paternity leave so that he could attend. So we scheduled the appointment when Levi was just 8 days old! Little Levi was as cute as a button. His skin was so perfectly smooth and even which is really rare. It’s not uncommon for babies to require a lot of skin retouching due to jaundice or baby acne. But not Levi! I couldn’t believe it. He was awake and curious for a short period of time at the beginning of the session and then he was out like a light. I’m glad he was awake for a small window because he had the sweetest big brown eyes. Once he was asleep we were able to put him into so many different poses and wraps. His parents ended up loving every single set up, and even I had a hard time choosing a favorite. I think that the green and blue tones won out at the end of the day though. They complimented Levi’s skin and hair tones so well. Especially the photos when Levi was awake. But how cute was he wrapped in yellow with his tiny bear hat? He looked so good in everything! If you are interested in having a newborn photography session in Queens, NY or surrounding areas, contact me for more information. 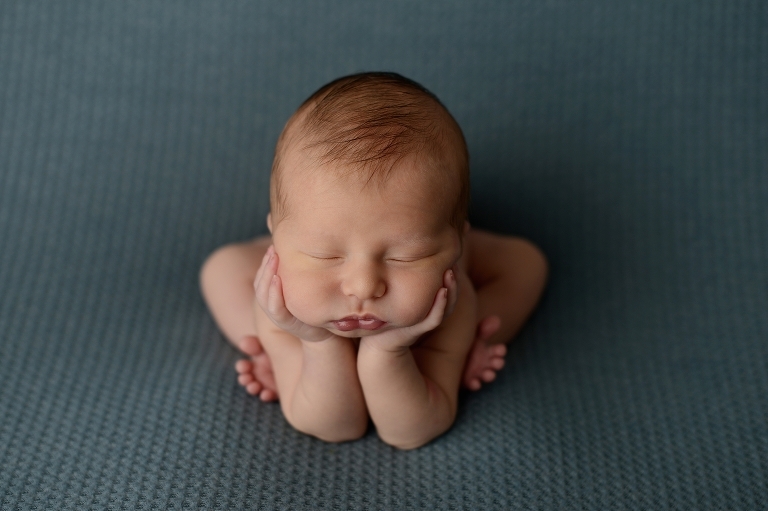 Want to see more adorable newborn photos? 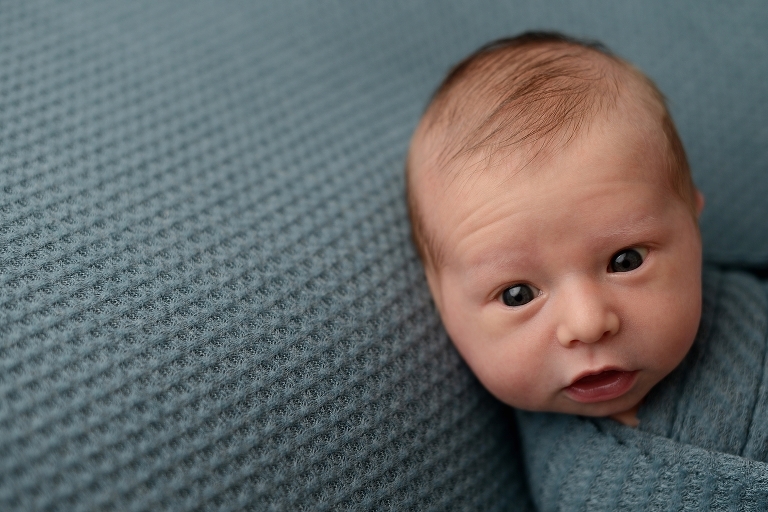 Check out Mathilda’s Newborn Portraits.